Neiman Marcus' multi-million-dollar Christmas list is back — and it's as opulent as ever. The retailer has released its 2017 Christmas Book, an annual collection of suggested gifts from the storied department store. One major highlight of the Christmas Book is its "Fantasy Gifts" section, which offers billionaires who have everything the chance to buy one-of-a-kind luxury items, travel packages, and experiences that cost thousands — and even millions — of dollars. Neiman Marcus is careful to highlight its philanthropic efforts alongside the decadence. A portion of every Fantasy Gift purchase is donated to The Heart of Neiman Marcus Foundation, which funds art programs across the US. Here's what's on the Fantasy Gifts list in 2017. This four-person experience includes a trip to the Armand de Brignac vineyards, where you tend to the grapes, sample reserves, and create a personalized cuvée. Plus, there's a first-class trip to Paris, helicopter flyover of the Champagne region, dinner at L'Assiette Champenoise, and a night in the Chateau Domaine Les Crayères. 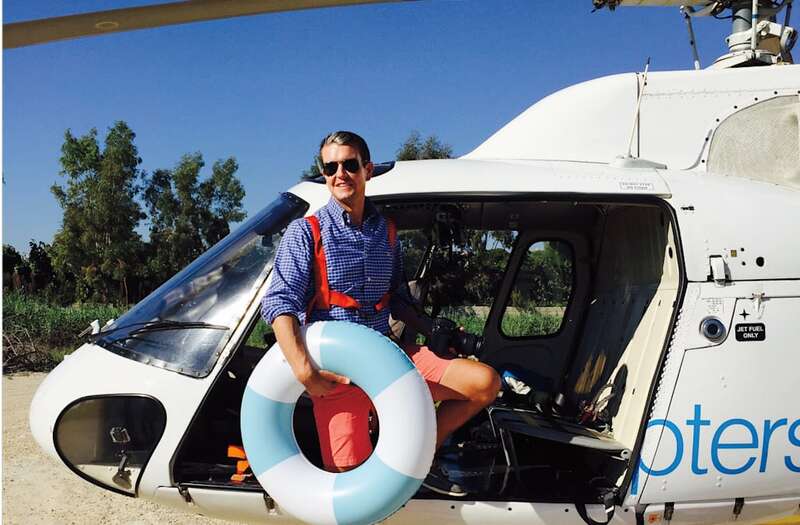 Photographer Gray Malin will host a one-hour helicopter ride for two over Los Angeles and Malibu, taking photos along the way. A two-night hotel stay is also included. In December, you'll get eight Madame Alexander dolls and a Grand Anniversary Dollhouse from KidKraft. Another doll is delivered every month for the next 11 months, including a customized doll next November. The three-day trip to Paris includes visiting a spa, meeting one of the d'Ornano family members, and $8,000 worth of Sisley skincare products. The trip to Zambia includes a visit to the mine that is the largest single emerald producer in the world, plus two days at The Royal Livingstone Hotel by Anantara. Then, in London, you'll get the chance to collaborate with Stephen Webster on creating a personalized piece with a 7.2-carat emerald, before having dinner with Webster and his wife. You'll get two handcrafted Rolls-Royces with V12-engines, hand-sewn leather interiors, and silver bonnets. The clutch designer will create six custom handbags for you. The gift also includes a three-day trip to Paris. Four people will get to attend the Ryder Cup as guests of US team captain Jim Furyk. The gift includes first-class airfare, private car services, deluxe accommodations, dinners, a personal concierge, premium tickets to the Ryder Cup, and private time with Furyk. These "feel good" gifts are made by a nonprofit that funds clean wells for communities in need. 100% of profits go toward the Paper For Water nonprofit. The priciest gift on the list is a rooftop party for 300 people above Times Square on New Year's Eve. Two nights at 150 of the hotel's rooms are included, as is everything necessary for a private party with drinks, dinner, and a DJ.